This article is produced as part of a recent partnership between the Project for Integrative Health and the Triple Aim (PIHTA) and the North American Board of Naturopathic Examiners (NABNE) for which the Integrator is providing media support. The goal of the PIHTA-NABNE partnership is to stimulate understanding of naturopathic integrative patient centered medical homes (PCMH) via portraits of clinics in Vermont and Oregon. 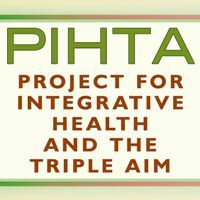 PIHTA is an initiative of the Academic Consortium for Complementary and Alternative Health Care (ACCAHC). This is Part 2 of a portrait of a naturopathic doctor-run PCMH in Vermont, Mountain View Natural Medicine. "Primary care in Vermont is now via patient centered medical homes," says Lorilee Schoenbeck, ND. Schoenbeck is founder of Mountain View Natural Medicine, a credentialed Level 2 PCMH in Burlington, Vermont. "We believe in the Vermont Blue Print for Health," she adds, "that patient centered medical homes (PCMHs) are the wave of the future for primary care." Vermont is among the national leaders on this path. Schoenbeck is a fan of the PCMH model for naturopathic doctors and for integrative medicine in general: "This is a great model for truly integrative care - it's the organization and structure of an integrated practice." She believes there is no one better than a system-minded naturopathic doctor to run such a practice. "It's not been easy," Schoenbeck reflects, "but then neither was medical school." Mountain View is one of 6 naturopathic medical clinics recognized as a PCMH in Vermont. (Other ND-run PCMHS are presently certified in Oregon and will be subjects of further Integrator exploration.) This is Part 2 of a portrait of the Mountain View Natural Medicine PCMH. One requirement of a patient centered medical home (PCMH) in any state is to measure multiple outcomes that support the transition of the US medical industry toward a values-based system for fostering health. Top among these outcomes are those captured in the Triple Aim: enhancing patient experience, bettering population health, and lowering per capita costs. The backbone for data collection is typically provided by an electronic health record (EHR). Asked about her clinic's transition to this data-rich environment, Schoenbeck reflected: "Naturopathic doctors excel at delivery of patient-centered care. We ask patients about goals, and about barriers. We typically have them participate in establishing a care plan. This piece [of what is demanded in a PCMH] is a walk in the park." She pauses: "The difficulty is in administration, in tracking, in the follow-up. There is no doubt that this is a high administrative burden." She estimates that it in her clinic with 5 primary care naturopathic doctors and additional practitioners that the engagement with data is a "15-20 hour per week burden." "It's a culture shift to be more organized," says Schoenbeck. She pauses again, thoughtfully: "It may not be a bad shift for many of us to be more organized." A mainstay of the outcomes work is to enhance the level of preventive care as promulgated through the US Preventive Services Task Force. To date that Task Force has not directly included any practitioners or scientists deeply embedded in an integrative philosophy of practice. Thus the focus is typically on process outcomes relative to secondary prevention and vaccination rates. As a recognized PCMH, Schoenbeck and her team chose a mix of conventional and less conventional markers for their first prevention initiatives. The first was an effort to ensure that the clinic's female patients had mammograms on the accepted schedule. The clinic needed to document this for both their "vulnerable population" of Medicaid patients, plus those in their general population pool. A second marker that Schoenbeck and her team chose focused on a process outcome that many in the integrative community would quickly identify as a potentially valuable contributor to health creation and prevention or disease. Mountain View, with its 5 naturopathic physicians extensively trained in therapeutic nutrition and a Masters-level dietitian on staff, planned to offer an annual nutrition visit to their patients. The clinic sent letters to all the individuals on their panel to notify them of this free service. Bottom line, Schoenbeck recalls: "Patients didn't come in." Less than 5% responded to the letter. For a new PCMH, taking on the extraordinary burden of this unusual measure seemed too much as an initial challenge. Schoenbeck and her team turned in a direction that can be hot-button in the natural medicine world: vaccines. Instead of annual nutrition visits, they would focus on MMR vaccination rates. They later added tetanus, to comply with a 2017 re-credentialing requirement. The final process measure at Mountain View was for colonoscopy screening at age 50. Why these markers? Schoenbeck replied simply: "You need to track preventive services. This is a piece of that." The second area of outcomes focus is on selection "three important conditions" on which the clinic would particularly focus - set a treatment plan and measure outcomes. They initially choice obesity, dyslipidemia/hyperlipidemia and anxiety. The first step involved identifying all of the patients with each condition in their patient panel. Schoenbeck and her team "primarily focused on a diet and lifestyle intervention." While some natural agents may be used, she underscores that "we really stick with diet and lifestyle for the obesity." Schoenbeck says that the clinic does not yet have thorough outcomes data on the identified population with obesity. However, she is finding that "with our evidence-based protocol, people are taking off pounds and keeping it off." She adds, with satisfaction: "It's very exciting to remove the diagnosis of obesity from a patient's chart - and I get to do that a lot." The protocol for dyslipidemia would include "lipid-lowering herbs" such as red yeast rice and the cholesterol and triglyceride-lowering herb Guggul. The protocol, however, is not restricted, explains Schoenbeck: "We are able to use any natural methods as long as they work - like any good ND." 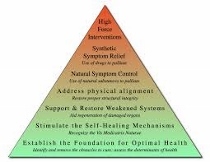 The Center set this plan following the naturopathic "therapeutic order." If these approaches and agents were not successful, they would utilize the pharmaceuticals that were available through their prescriptive authority. Schoenbeck believes that the team is far more successful now due to their evidence-based approach. Some changes: patients are routinely using "fit-bit or another diet and activity logging application or program to track activity." The clinic also has more frequent and closer face-to-face follow-up with patients on how they are doing than she used to have with patients. 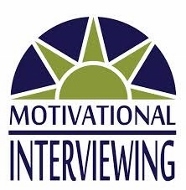 She drills into the learning that she has had as a naturopathic doctor as she transitioned to this evidence rich environment: "NDs often intuitively use elements that are now shown to be evidence-based approaches - such as motivational interviewing. I didn't know the term, but I did it." Yet, she adds, "it has been humbling for me as an ND to learn some things about how to increase compliance of our patients from our health coach. Her training from Duke University on how to motivate patients has been a big help." Schoenbeck reflects on her profession: "We can think that we have the corner on the market [on how to treat conditions like this]. But the truth is that most patients don't see their ND as often as they need to for these changes to take hold - which is weekly or bi-weekly." The use of a social worker through the funds available via the $30,000 annual payment to support the Community Health Team for Mountain View has also proved a wake-up for Schoenbeck: "We always thought we were doing social work" via connecting people to resources. "But here," she adds, "we have this population that is so different from self-pay - severe abuse, violence, drug addiction - people who deeply need social worker connections and referral." She reflects again on her profession: "NDs haven't been as plugged in [to these populations]. It's an interesting cultural education process." The decision of Schoenbeck and her team to focus on reducing anxiety was altered when they realized, as Schoenbeck joked, that "everyone has it." They chose to focus instead on depression. A first choice was to use the UK-developed Patient Health Questionnaire (PHQ 9) to measure outcomes. Schoenbeck is excited that, with the Community Health Team payments, "the medical home allows us to be 100% naturopathic." Their treatment plan includes St. John's wort, fish oil, and Vitamin D. It also includes mindfulness via yoga and meditation. Patient have access to low cost Mindfulness-Based Stress Reduction (MBSR) classes via subsidized teaching fees from the CHT fund. The PCMH environment, Schoenbeck reflects, "puts more responsibility on the clinic for tracking and follow-up, but fosters the team-environment of true integrative medicine for care of an individual patient." She celebrates the future roles that she sees increasing numbers of members of the naturopathic profession playing in this emerging system. In the PCMH: "We've been much more effective as primary care doctors. We are working at the top of our licenses, doing what we do best - diagnosing the underlying problem, setting a care plan, and letting team members carry out their parts." Something clearly is working. At the time of the interview, Schoenbeck reports that Mountain View was average 17 new patients a week - "220 new patients every quarter" drawn to this ND-led PCMH. The actual key, of course, is not the mere presence of Schoenbeck and her colleagues in the Vermont Blueprint for Health. Rather, the keys will be the data-driven outcomes from her clinic and from other ND-led PCMHs on the prevention and treatment-based quality initiatives. Those data may eventually serve as door openers in multiple environments for the naturopathic and integrative medical models as change agents in US medical payment and delivery. Comment: Schoenbeck and I began talking about an article on her work since I first heard that she and her colleagues in Vermont had opened the PCMH potential in Vermont Blueprint for Health. With this two part report, external observers can get a sense of the thoughtfulness with which Schoenbeck and her team have approached these new forms of clinical responsibility. I hope that those predisposed to dismiss naturopathic doctors as somehow not able to play such rolls will excise such thinking. Meantime, other naturopathic practitioners considering a PCMH option direction will have fodder for their musing. Ultimately, the outcomes of these prevention quality initiatives at Mountain View Natural Medicine will be what will drive new advances. I look forward to reporting them. These are each desired outcomes of the partnership between the North American Board of Naturopathic Examiners and the Project for Integrative Health an the Triple Aim that the Integrator is supporting with this series.